Your cat isn't totally ignoring you -- really! The study, which will be published in the July issue of Animal Cognition, is one of the few to examine the cat/human social dynamic from the feline's perspective. Cats may not do what we tell them to, but they usually adore their human caretakers. Co-author Atsuko Saito of The University of Tokyo explained to Discovery News that dogs have evolved, and are bred, "to follow their owner's orders, but cats have not been. So sometimes cats appear aloof, but they have special relationships with their owners." "Previous studies suggest that cats have evolved to behave like kittens (around their owners), and humans treat cats similar to the way that they treat babies," co-author Kazutaka Shinozuka of the University of South Florida College of Medicine added. "To form such baby-parent like relationships, recognition of owners might be important for cats." Their study, mostly conducted in the homes of cats so as not to unduly upset or worry the felines, determined just that. The researchers played recordings of strangers, as well as of the cats' owners, to the felines. The cats could not see the speakers. The cats responded to human voices, not by communicative behavior- such as by vocalizing or moving their tails -- but by orienting behavior. In this case, "orienting" meant that the cats moved their ears and heads toward the source of each voice. The felines also, at times, displayed pupil dilation, which can be a sign of powerful emotions, such as arousal and excitement. Other studies have found that natural pupil dilation can be directly tied to brain activity, revealing mental reactions to emotional stimuli. All of these reactions happened more often when cats heard their owners, and particularly after they had become habituated to, or familiar with, the strangers' voices. The feline reactions are therefore very subtle, but cats have evolved not to be very demonstrative. Cats, for example, hide illness because "in the wild, no one can rescue them and predators pay attention to such weak individuals," Saito said. 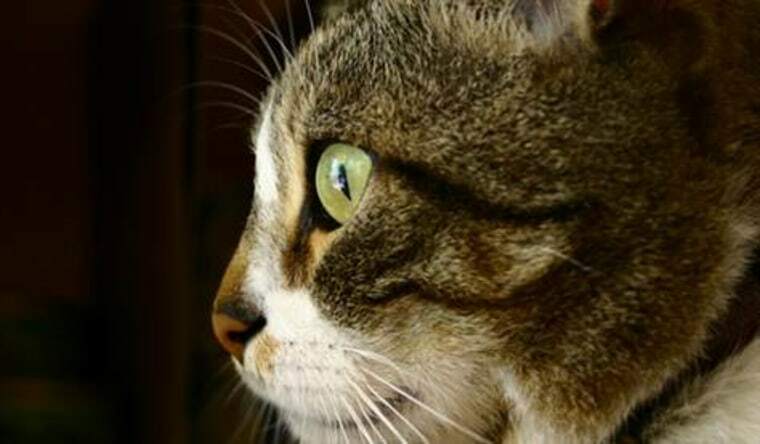 Even though a watchful owner would try to save the cat, the feline's gut reaction is to remain stoic and avoid any possible threat at a time of vulnerability. Felines may be hard to read sometimes, but not always. Saito said some of the cats during the study and elsewhere have "fawned over me eagerly," purring and displaying affection familiar to many other feline fanciers. The researchers point out that, after 10,000 years of cohabitating with humans, domestic cats have the ability to communicate with us, and we seem to understand them, for the most part. Humans who have never owned or been around cats much can pick up basic feline emotions solely by the sound of certain purrs and meows, Saito said. In studies, such people can classify the cat vocalizations according to particular situations. Kazuo Fujita is a researcher in the Department of Psychology at Kyoto University who has also studied cats. Fujita told Discovery News that "this is an important study" on how cats think, "which has remained mysterious due to difficulties in testing them."